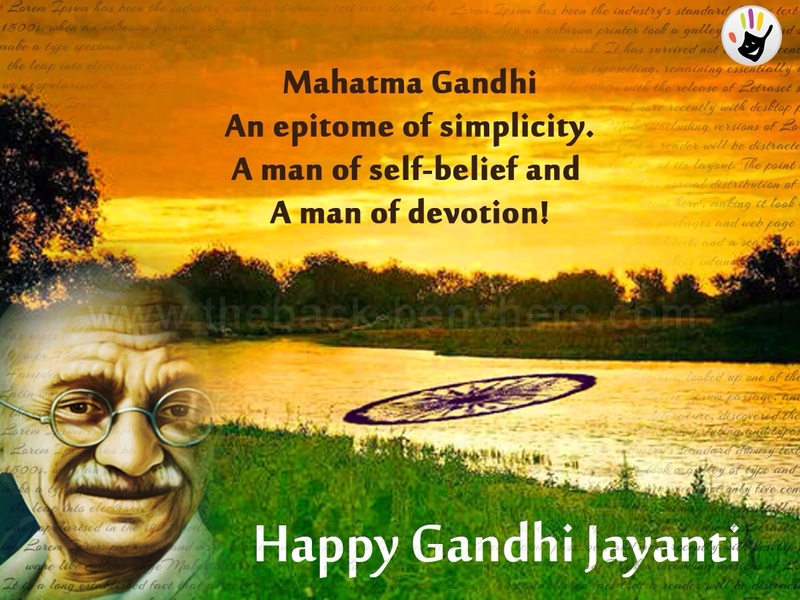 2nd October every year in honour of Mohandas Karamchand Gandhi's efforts towards achieving Indian independence. 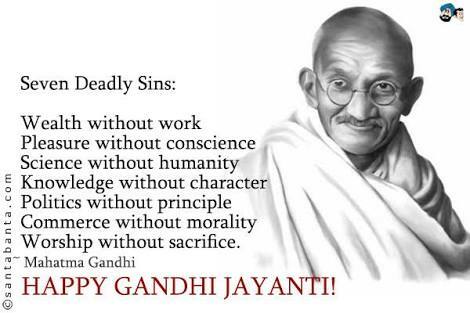 Also known as the Father of Nation and Bapu by majority, he was born on this day in 1869. The UN General Assembly announced on 15th June 2007 that 2nd October shall also be observed as the International day of Non-Violence. 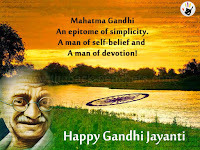 This day is marked by prayer services and tribute all over India. Schools, colleges,local government institutions offer commemoration services in different cities. Various competitions including painting & essay writing are held with non-violence,peace,unity, simplicity,truth as its themes reflecting Gandhiji's struggle in indian independence. His favourite bhajan(devotional song), Raghupati Raghav Raja Ram is sung in such commemoration. Let us all join hands in remembering and appreciating Gandhiji's principles and struggle towards giving us today's free India.